GOSHEN – With NorthWood and Northridge bowing out of the IHSAA state soccer tournaments, the Northern Lakes Conference issued its All-Northern Lakes Conference teams for both boys and girls soccer. The girls soccer race once again came down to Northridge and Warsaw on the final day. The Raiders won the head-to-head matchup, 3-2, to take the championship to repeat as champions, unbeaten at 7-0. Raiders head coach Thavisith Mounsithiraj was named the Coach of the Year, then announced after Northridge lost in the regional he would be stepping down from the position. The Raiders had Ariana Stoltzfus, Sage Schnell, Emma Oxenrider, Leah Stacker, Hope Stacker and Maddie Sorg named All-NLC, as well as Sophie Carrison, Betsy Wertman and Izzy Love all Honorable Mention All-NLC. The Tigers finished 6-1 in the NLC and had Abby Steffensmeier, Dayle Harvey, Delaney Taylor, Anna Grill and Corissa Koontz all named All-NLC, and Brenna Buhrt and Kaylee Patton named Honorable Mention All-NLC. Plymouth finished 5-2 and had Cece Robinson, Madison Smith, Amber Schrameyer and Madison Stiles named All-NLC, and Sydnee Smith and Aubrey Vervynckt Honorable Mention All-NLC. Mallory McCuen, Haley Miller and Hannah Schraw for Concord (4-3), Kira Robinson and Mackenzie Bergman for NorthWood (2-4-1), Margaret Gallagher and Aniya Hartzler for Goshen (2-5), Veronica Ocampo and Kelsey Knowlton of Memorial (1-5-1), and Kendra Doerr of Wawasee (0-7) were the other All-NLC performers. 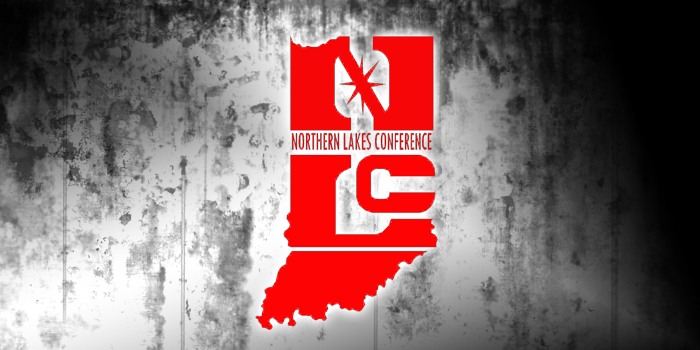 Lauren Pollock of Concord, Neely Trenshaw of NorthWood, Kyrah Fletcher of Goshen, Ma’Elena Perez-Garcia of Memorial and Olivia Birch of Wawasee were Honorable Mention All-NLC. Northridge also laid claim to the boys champions, running 6-0-1 to outdo Warsaw’s 4-0-3 mark. The two tied in the regular season finale, but Northridge claimed the needed points in a win over Wawasee in its sixth contest. Head coach Lawrence Baltazar led the Raiders to the title in the hotly-contested conference race, and was named Coach of the Year by his peers. The Raiders had Micah Cross, Jonathan Mora, Cam Campbell, Lucas Marvel and Carter Stoltzfus all named All-NLC while Evan Beasley, Brody Guest and Stone Thompson all named Honorable Mention All-NLC. The Tigers had Ted Berelsman, Blake Burns, Jose Lara, Harrison Mevis and Payne Rager all named All-NLC and both Jorge Rico and Ethan Grill named Honorable Mention All-NLC. Memorial finished third at 4-2-1 and had Brandon Vargas, Filipe Zendajas and Caleb Ashworth named All-NLC and Damien Vargas and Andrew Argueta named Honorable Mention All-NLC. Landon Fisher, Ariel DeLaPaz and Nick Mark for Concord (3-2-2), Ciro Aguilar, Sergio Gonzalez and Ricardo Vargas for Goshen (3-2-2), Sebastian Guillen, Jerson Sanchez and Landon Parker for NorthWood (2-5), Chris Pena for Wawasee (1-6) and Larry Dragani for Plymouth (0-6-1) were the other All-NLC performers. CJ Pollock of Concord, Efren Ortega of Goshen, Skyler Duerksen of NorthWood, Ethan Carey of Wawasee and Nate Hutsell of Plymouth were Honorable Mention All-NLC.